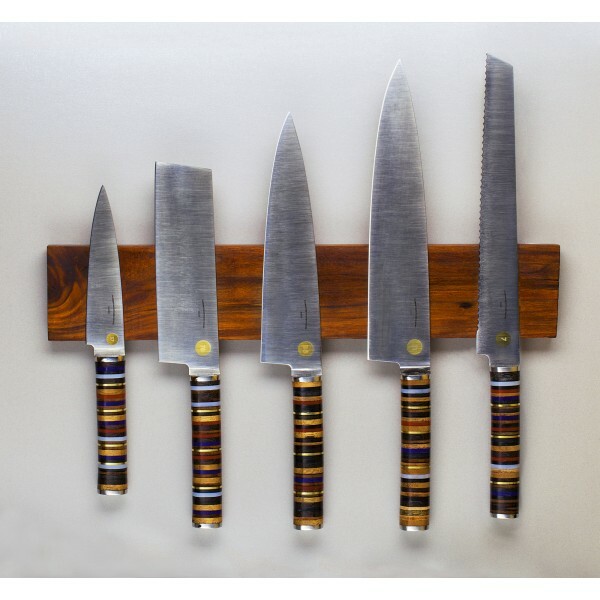 Click here for Florentine Three chef knives in Stainless, Carbon and Folded Steels, as well as a few remaining Florentine Two Chef Knives and Paring Knives. 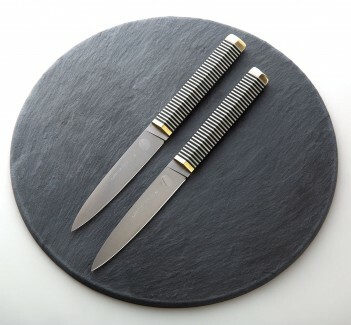 CARMEL a 125mm/2.5mm thick Paring knife. 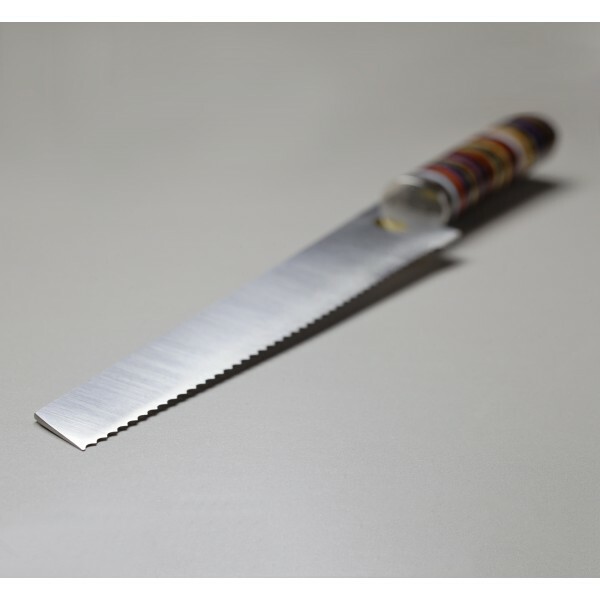 BAZEL a 240mm/2mm thick Bread knife. 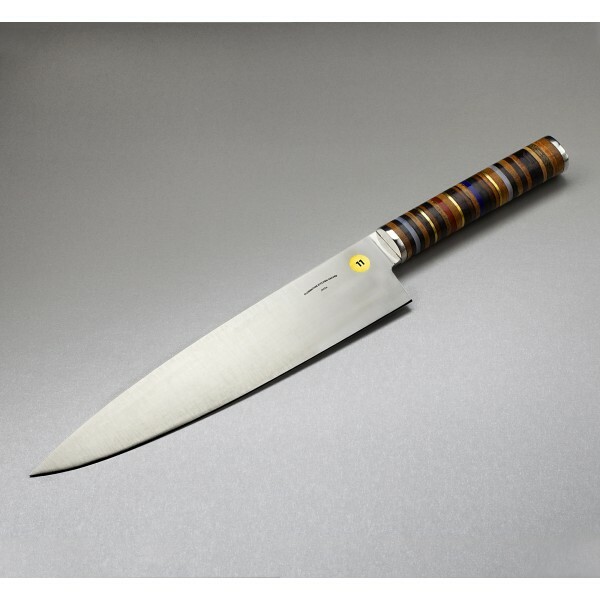 ZEDEK a 160mm/2.5mm thick Nakiri knife. 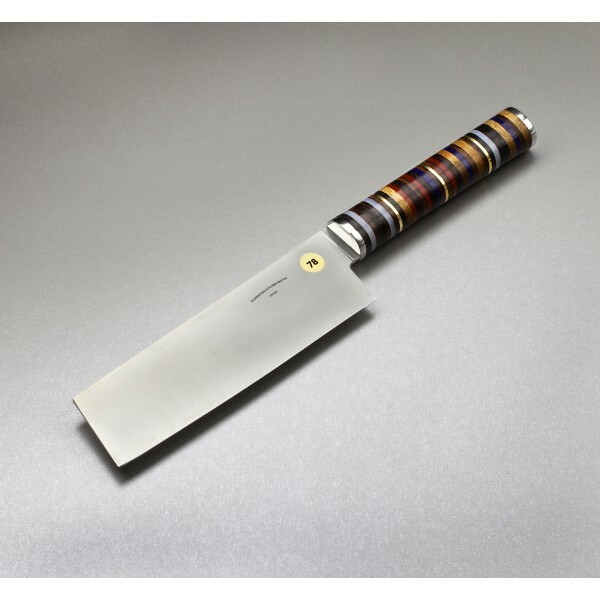 KEREM a 200mm/3mm thick Chef knife. 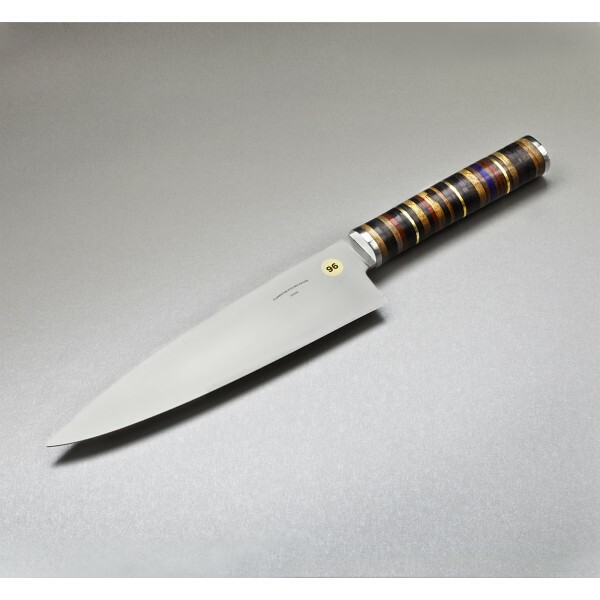 JAFFA a 240mm/3mm thick Chef knife. 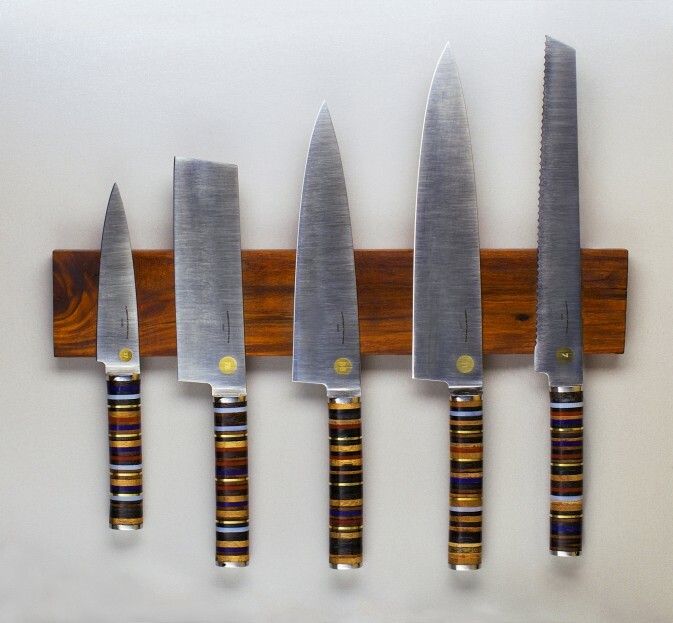 Florentine Kitchen Knives, founded in the Florentine neighborhood of Tel-Aviv, Israel in 2012 by industrial designer Tomer Botner, specializes in high-end, handmade chef knives and kitchen tools. 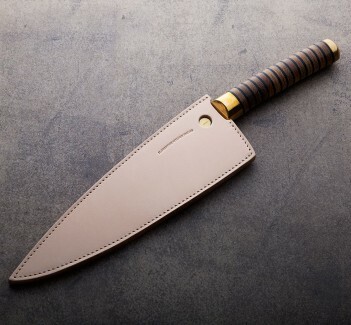 Tomer's approach is design-oriented and 100% utilitarian at the same time, producing each knife in limited runs with hand-assembled, one-of-a-kind touches like individually numbered blades and handles of which no two are the same. 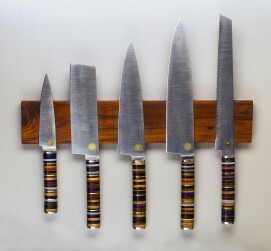 See description for each knife's measurements.  14c28n Sandvik stainless steel blade. 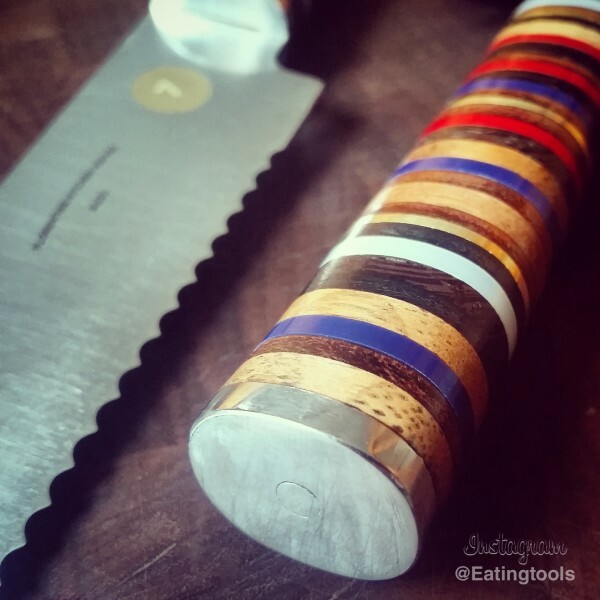 Brass, wood and leather handle. 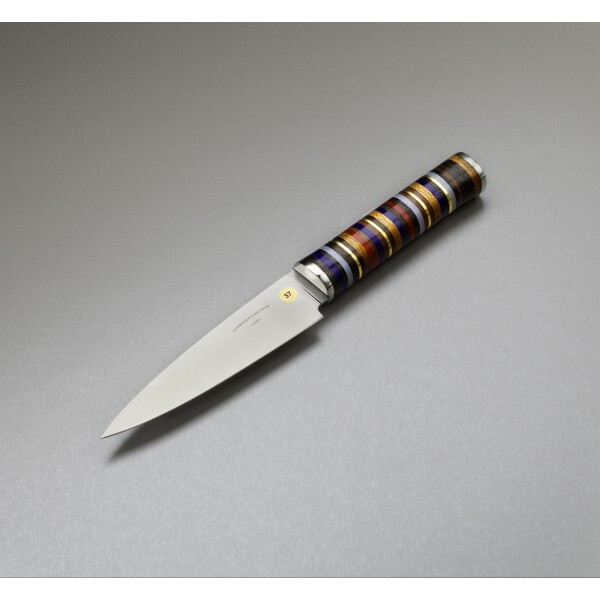 Got this Zedek Nakiri. Apart from amazing design, what I can judge about being a designer and perfectionist, it's a great working tool. 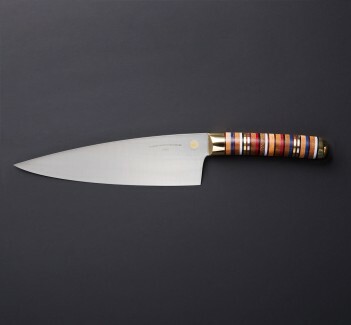 My favorite shape of nakiri blade with an incisive tip of a cutting edge, sharp, quite heavy that I love too, perfectly balanced. And yes, this handle, its smell of natural wood and leather, I even love to sniff it from time to time! :) Amazing work! Thanks a lot Abe!